EghtesadOnline: The decision of European airliners to halt flights to the Iranian capital Tehran in September has paved the way for Turkish carriers to increase their fights. When western airliners stop flights, Turkish carriers, which hold flights to many parts of the world with connecting flights from Tehran to Istanbul, are expected to increase passengers numbers from Iran by 20% as of September, Daily Sabah reported. Air France, which had run connections to the Iranian capital via its low-cost operator Joon, said it would axe the route on Sept. 18, blaming poor commercial viability, according to Financial Tribune. British Airways also announced that it was scrapping its London to Tehran service, since it was currently not commercially viable. Dutch airline KLM-part of the same group as Air France-said last month that it was also suspending Tehran flights due to negative results and weak financial outlook. 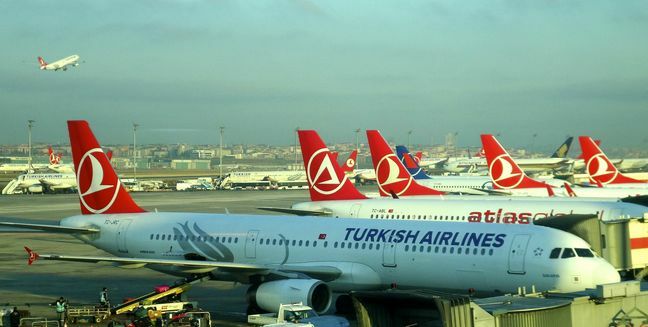 The insufficient number of flights of Iran Air and other Iranian private airlines as well as the suspension of operations by European carriers will positively affect the Turkish companies as they offer connecting flights from Istanbul to many parts of the world. European companies will now organize connecting flights with Turkish partners from Istanbul to other parts of the world, as Turkish carriers will serve Iranian passengers on their journey from Tehran to Istanbul. In addition to Europe, many Iranians also fly to the US. More passengers from Iran are expected to fly to Paris and Los Angeles where many Iranians live via a layover in Istanbul. Turkey's national flag carrier Turkish Airlines holds five flights to Tehran a week, four from Istanbul's Ataturk Airport and one from Sabiha Gokcen Airport.